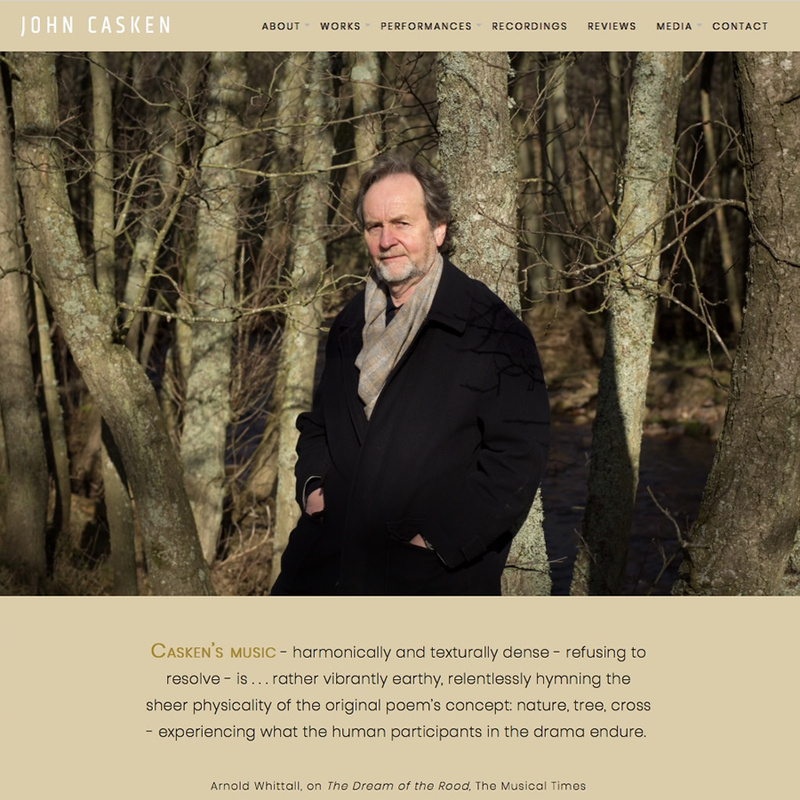 “The new site is something I have pleasure in sharing with people…. 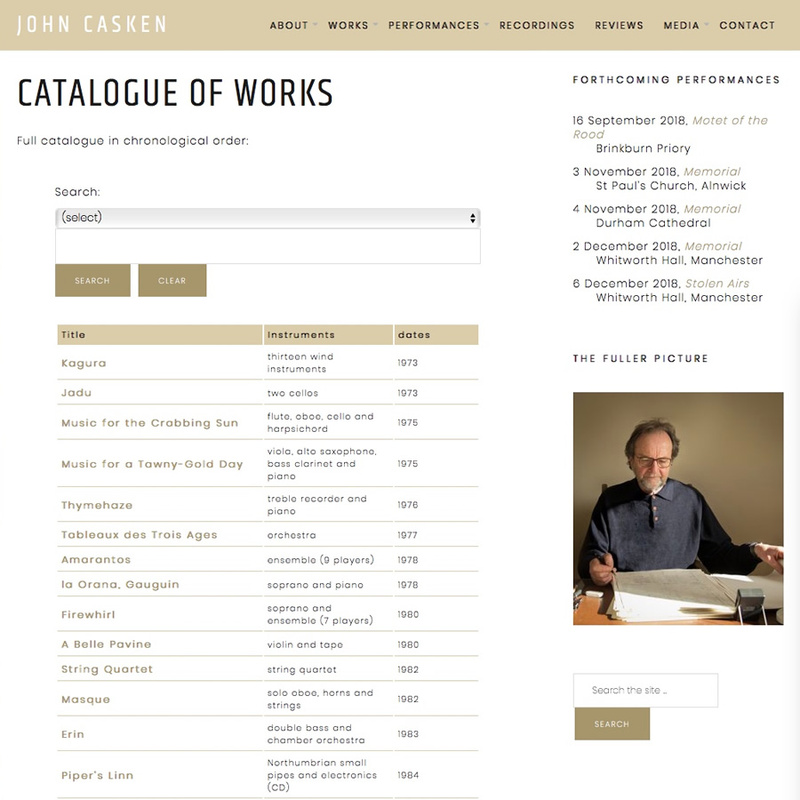 You had done an amazing job and many of my friends and contact has said how impressed they are with the look of it, the design, and how easy it is to navigate one’s way around it"
Henrietta Barnes has considerable experience promoting composers and their catalogue of works. 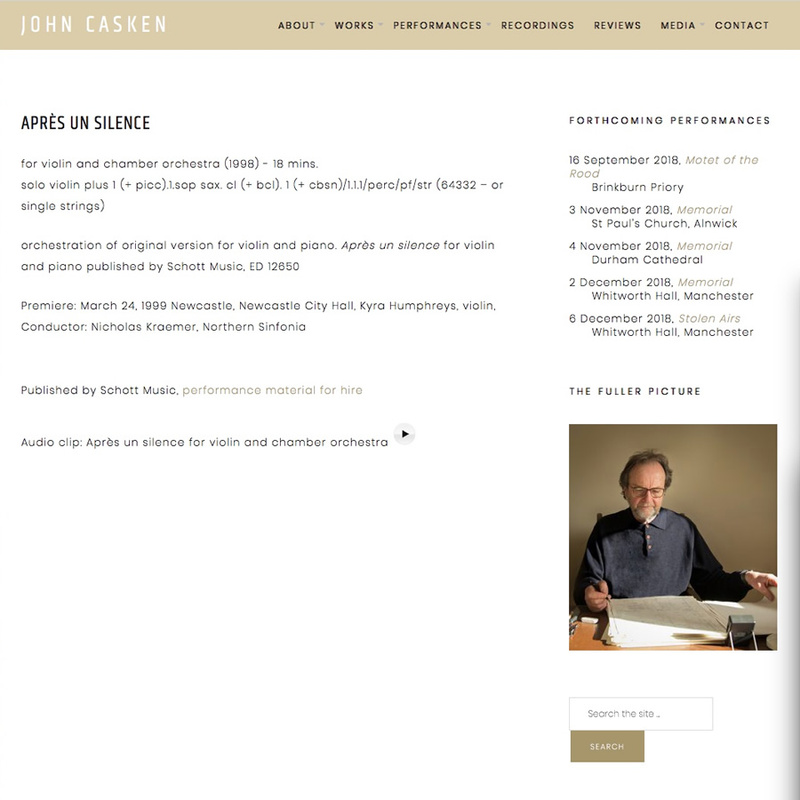 For 6 years she was Promotions Manager at United Music Publishers overseeing the production of composer’s printed brochures, including details of their compositions, and also compiled the then complete catalogue of works for the Ashgate Press publication Uncommon Ground, The Music of Michael Finnissy, and the Faber book Conversations with Iannis Xenakis, both of whom she represented at UMP. 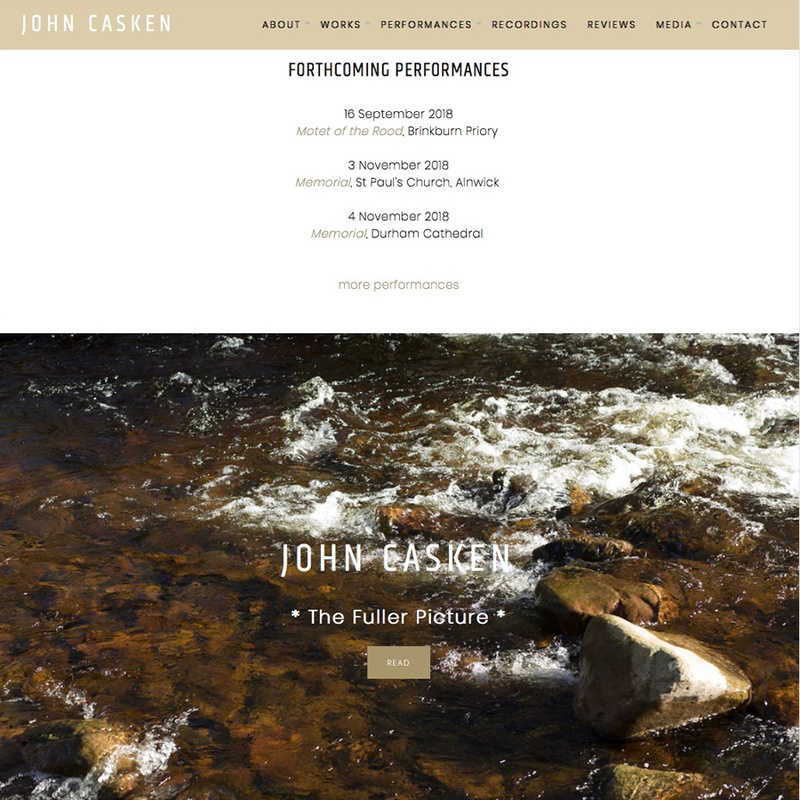 Nearly 20 years experience designing websites for musicians and acquiring technical and programming skills has enabled her to develop a unique and highly effective way for composers to share their catalogue of works online. The individually tailored database works on Wordpress, integrating several existing plugins to creates a powerful and flexible system. 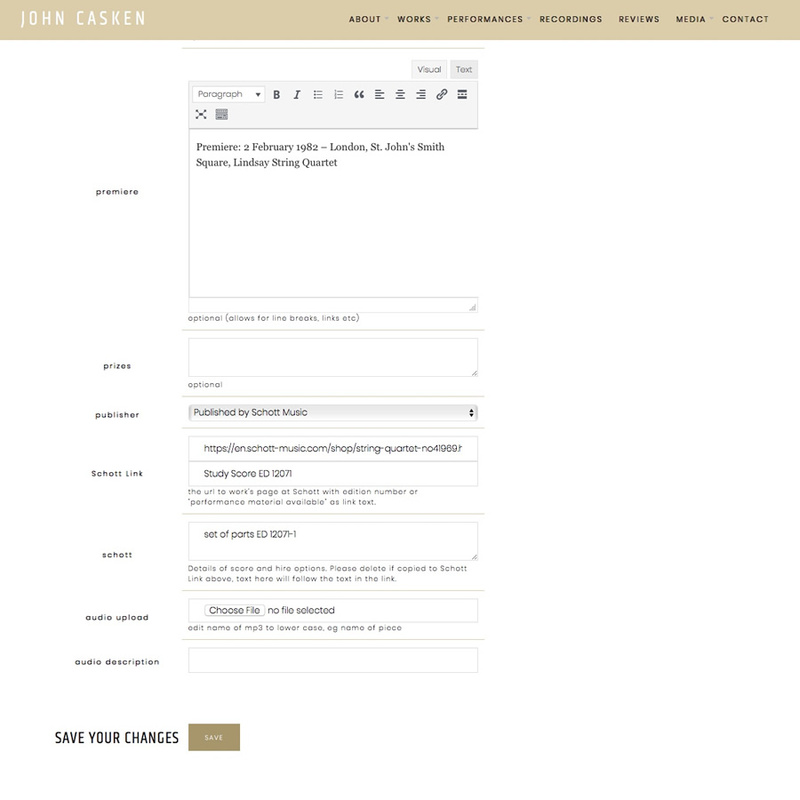 Users can search the catalogue via one or more search options. 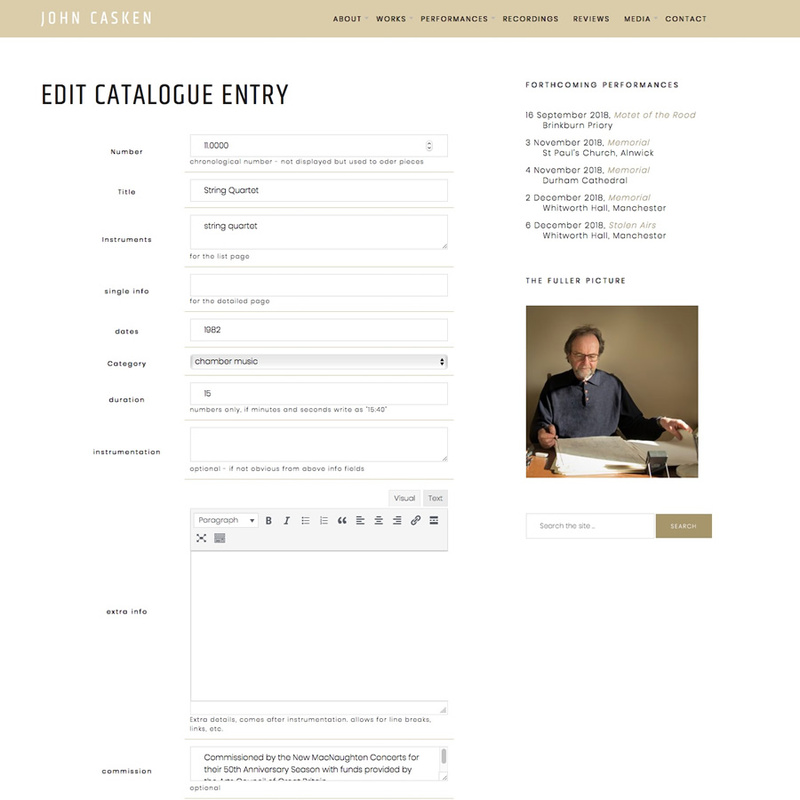 Composers can edit catalogue entries and add details for new works and upload files via easy to use webpage forms.